Mayor calls on Netanyahu and Bennett not to delay vote on sovereignty over Maale Adumim any longer. 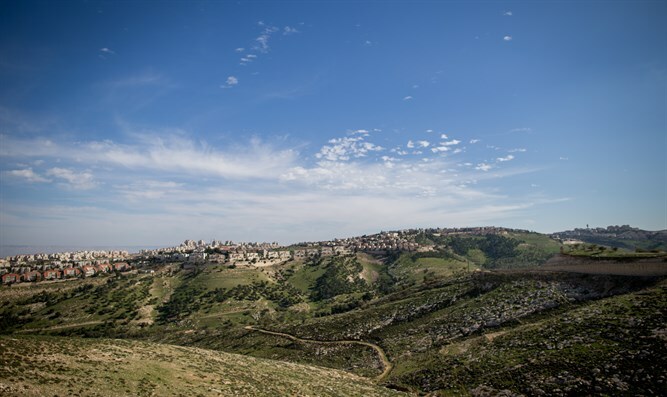 Public pressure is mounting on PM Netanyahu and Education Minister Naftali Bennett not to allow an additional postponement of the vote on the bill to apply sovereignty to Maale Adumim. At the moment, the bill is to go on Sunday to deliberations and a vote in the Knesset Law Committee. However, it is possible that the Prime Minister will request to delay the vote by several days, as he has done in recent months. “Dear Naftali Bennett, Ayelet Shaked, and Uri Ariel, it is forbidden this time to give up and postpone the vote in the Law Committee. When you stand steadfast, nobody can coerce us. They’ve already been talking for 50 years about ‘the correct and proper timing,’ and the time has come for action, as the timing will never be perfect. Maale Adumim enjoys a national consensus, Foot-dragging on the part of Likud doesn’t have to bother us,” Gatz said.